Bad doggie behavior is something that’s learned rather than something that comes naturally to “problem” dogs. When raising children, it’s important to teach good behaviors and discourage the bad ones. Owning a dog is much the same. If you let a dog do things like continually bark, chew and pull on his leash, he’ll continue to do so until you assert your dominance and put a stop to it. But aside from this training, a dog harness vest and a high-quality reliable leash can be some of the best ways to keep your dog out of trouble. Putting a dog harness on your pet won’t magically transform him from rambunctious to well-behaved. But it’s a big step in the right direction. There are several reasons for this and we’ll explore it step-by-step. First, the dog harness can be used to signify that it’s active playtime for your dog. He can come to associate the harness with the act of going outside for a walk, or heading for the car to go somewhere else. Pair a dog harness with a dog seat belt restraint for trips in the vehicle, to keep your pet from distracting you. Second using a harness means that even for a dog who pulls against his dog leash, there’s minimal discomfort. A dog that pulls against a collar can even have throat and neck problems from doing so. The harness spreads the force out over a larger area. 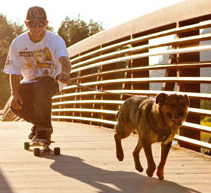 This offers more comfort, and gives more control over your dog. Third, using a dog harness regularly means more playtime, which is one of the best ways to slow or stop bad behavior. 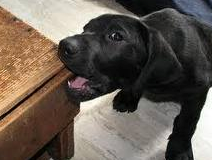 Often, dogs will chew and become destructive out of boredom and too much energy with no release. Keeping your dog active by using a harness and dog leash for regular play and exercise can help curb those destructive habits. Another good reason that a quality dog harness can be helpful in getting rid of bad behavior is that you can use one to help teach your dog simple commands. 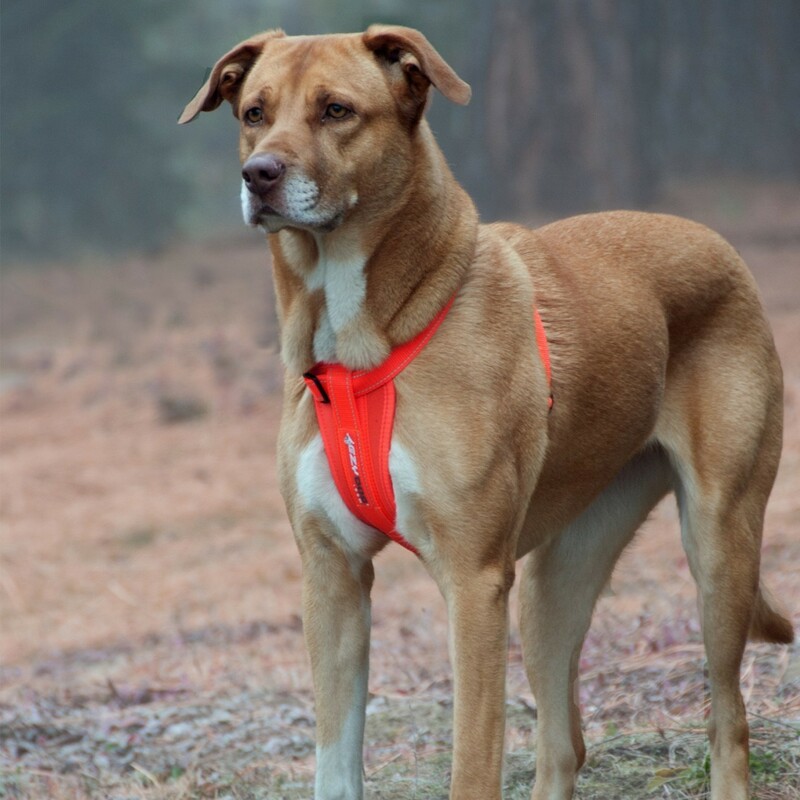 A dog no pull harness like EzyDog’s chest plate harness is ideal for training. The chest plate is soft and molds to your dog’s body, but also applies pressure when he pulls. It’s spread out so it won’t cause discomfort, but that spread also makes the dog more aware of when you pull on the leash to slow him or stop him. 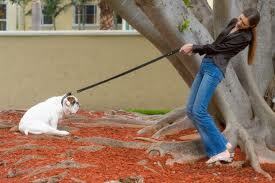 Teaching your dog to walk properly on a loose leash is often easier to do with a good control harness than a collar. Pair the harness with the shock-absorbing leash from EzyDog for maximum comfort for both of you, and utmost control of your pet’s behavior for a delightful afternoon stroll.